Dr Stenton is a Consultant Physician at the RVI Newcastle. His main interest is in work-related lung disease, particularly asthma, COPD and asbestosis. Here he looks at some of the history, causes and effects of atmospheric air pollution. He also considers some of the emerging evidence on several insidious consequences air pollution is connected with. In my work as a chest physician I see patients with many different types of lung conditions. 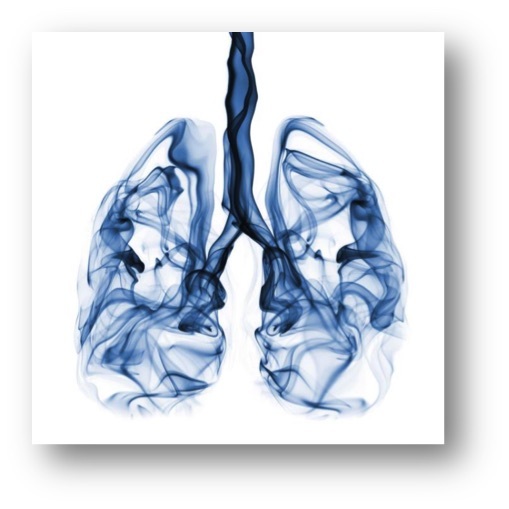 Almost all lung disease is caused by something we breathe. Stretched out, the lungs would cover the size of a tennis court and with each breath inhaled bacteria, viruses, dusts and fumes can come into contact with the very delicate lining of the lungs and air passages. It is unusual for patients to make a connection between their symptoms and pollutants since in most cases the effect is insidious in that it accumulates over time and goes unnoticed until there are clear symptoms. Some who are sensitive to a particular pollutant may make a connection, as with traffic fumes affecting their chests. However, studies show that many people who live in cities are harmed by pollution from traffic, which is a major cause of death and disease. It is something we should all be concerned about. The London smogs of the 1950s killed about 12,000 people and led to the introduction of the clean air acts of the 1950s and 1960s. After that it was believed for many years that the problem of atmospheric pollution was solved. However it became increasingly apparent in the 1980s that pollutants were causing increasing amounts of ill health. The older pollutants such as soot and sulphur dioxide from open fires and steam engines were often obvious. Less obvious but equally harmful pollutants, many of which arose from motor vehicles, replaced them. They included small easily inhalable particles (known as PM10 or PM2.5), ozone and nitrogen oxides (NOx) derived from motor vehicles and other sources. These pollutants are now recognised to be killing many more people each year than died in the London smogs with an estimated 40,000 premature deaths each year(i). That is an estimate and the true figure could be higher. Pollutants from motor vehicles are generally produced together and it is difficult to disentangle the effects of one from another. Nitrogen dioxide is the most easily measured and so has the greatest amount of local data. There are measuring sites in Newcastle and other cities for other nitrogen oxides (NOx), ozone and small particles (PM2.5). The first major modern study of pollution-related deaths came from the US. In the Six Cities study the average age at which people died in several cities showed a clear relationship with levels of pollution in the city(ii). The death rate was 30% higher in more highly polluted areas where average PM2.5 levels were 30ug/m3 compared with less polluted areas where PM2.5 levels averaged 10 ug/m3. A number of later studies have confirmed these findings and shown beneficial effects of reducing pollution levels. For comparison, PM2.5 levels in the UK are generally in the region of 10-20 ug/m3 but they vary considerably and can be much higher than that. The Committee on the Medical Effects of Air Pollution applied the US data to the UK in their 2010 report and concluded that around 30,000 deaths in the UK can be attributed to particulate air pollution(iii). The figure rises to about 40,000 if the additional effects of NOx pollution are taken into account. That is equivalent to everyone living on average almost a year less than they otherwise would if there were no atmospheric pollutants at all. These effects of pollution are largely unseen. Individuals die earlier than they otherwise would and that can be identified when a large numbers of people are studied but for any individual it is very difficult to determine whether and by how much their life might have been affected by the air they breathe. Some effects of atmospheric pollution are easier to demonstrate in individuals. Asthma is the prime example and many sufferers notice worsened symptoms when exposed to high levels of traffic fumes. In one study(iv) researchers in London got 60 people with asthma to walk down Oxford Street which is quite heavily polluted by fumes from slow moving buses – nitrogen dioxide levels averaged 140 μg/m3 which is slightly higher than the peak seen in Gosforth High Street (110 μg/m3) and well above the current legal limit of 40 μg/m3. On average the people’s lung function had fallen by 6% at the end of the walk and the effect was greater in those with worse asthma. Walking though Hyde Park where the air is cleaner did not have the same effect. There are many other studies that show the effect of air pollution on asthma and in those with other lungs diseases. Hospital admissions with bad asthma increase by 2% with every 10 μg/m3 increase in nitrogen dioxide levels(v). Similarly, admissions with pneumonia increase by 1.4% with every 10 μg/m3 increase. The average nitrogen dioxide levels around Gosforth High Street of 30-40 μg/m3 are therefore likely to be causing up to 8% more severe asthma and 5% more pneumonias than would otherwise be the case. Potentially one of the most worrisome effects of atmospheric pollution is its apparent effect in slowing the growth of children’s lungs and potentially making them more vulnerable to a variety of diseases when they get older. In the first study of this in California(vi), children’s lungs grew 6% less between the ages of 10 and 18 in polluted areas compared with non-polluted areas. Nitrogen dioxide levels in the most polluted area was 66 μg/m3, about 50% more than that seen on Gosforth High Street. A number of other studies have shown similar results and demonstrated the beneficial effects of decreasing pollution levels. 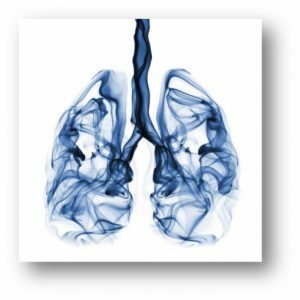 Although the lungs are an important target for pollutants – they are our biggest interface with the environment and stretched out they cover the size of a tennis court – they are not the only organ that is affected. Small pollutant particles can pass through the lungs into the blood stream where they can set off inflammation that leads to heart attacks and other problems. Many of the excess deaths seen with pollutants are caused by heart problems. Several studies have shown that heart attacks are more common during periods when pollution levels are high(vii). A large European study showed 13% more heart attacks for every 5 µg/ m3 increase in the level of small particles (PM2.5). A substantial proportion of cardiac problems are likely to be preventable by better control. There is a wide range of other possible adverse health effects of pollution that are currently being explored. The European and American Respiratory Societies have outlined these in a recent joint paper(viii). There is emerging evidence linking outdoors air pollution to diabetes and poorer control of diabetes, probably related to inflammatory effects of exposure to pollutants. There is even evidence linking childhood obesity to pollutant exposure possibly also brought about by inflammation causing resistance to the effects of insulin. Pregnant women are likely to be particularly vulnerable to the effects of pollution, and prematurity and low birth weight of children have both been linked to atmospheric pollutant levels. One study estimated that 11% of low birthweights in infants’ cases would be avoided if PM2.5 concentrations were reduced by 5 µg per m3 (reduced by about half to one quarter for the UK). There is ample evidence of the wide-ranging adverse effects of atmospheric pollution on our health. The challenge now is for politicians and others to take these seriously and to take the steps necessary to protect the health of everyone. (ii) Dockeryet al. An association between air pollution and mortality in six US cities. New England Journal of Medicine 1993;329:1753–1759. (iii) Committee on the Medical Effects of Air Pollutants. The Mortality Effects of Long-Term Exposure to Particulate Air Pollution in the United Kingdom HMSO 2010. (vi) Gauderman et al. Effect of exposure to traffic on lung development from 10 to 18 years of age: a cohort study. Lancet. 2007; 369:571–7. A Frightening New Reason to Worry About Air Pollution – A massive study solidifies the link between particulates from cars and diabetes. For comparison, the UK limit for PM2.5 particulate matter is currently 25μg/m3. As such the report reinforces the link between Air Pollution and (the onset of) Diabetes, and whilst (UK) PM2.5 nationally from road transport was around 14% in 2014, it is not the only source (which needs tackling). So maybe a slight correction on the first sentence above is required. Thank you for your comment. Just for clarity, the first sentence is the title of the linked article. Generally the Newcastle figures are less than the UK legal limit but they are at a level where, according to the study, there is a diabetes risk. If nothing else this adds to the case for re-evaluating the PM2.5 legal limits with a view to reducing from 25μg/m3 to 10μg/m3 (the WHO suggested limit) or even lower. I read your essay entitled “The Dangers of Air Pollution” with interest but it has raised some questions and comments that I would like to put to you. As a scientist you will appreciate that all experimental measurements are subject to error and interpretation. One has to be careful that people, who should know better (i.e. politicians), repeat figures without knowing their significance and use them in an inappropriate manner to support their own political aims. Could you clarify what you mean by “nitrogen dioxide levels averaged 140 µg/m3”? Is this an average of the seasonal, daily peak values, or a daily average or a weekly average, an average over a specified time interval or a rolling time based average? In the field of toxicology the residence or exposure time as well as the pollutant concentration is of importance when considering the likelihood of death or injury. In this context peek values have little meaning as they may occur over such a small time interval that the exposure to a person is minimal and therefore the risk is also minimal. The vehicle sourced particles are clearly to be avoided but the true level of these is not reflected in the measured pm concentration. I obtained an assessment of the air quality in the Haymarket (NE17RU) on Monday morning 11.30 am, 26th November 2018 (https://www.bbc.co.uk/news/science-environment-44203396). The pollution rating was1out of 6. This rating means there is a low chance of average nitrogen dioxide levels exceeding the annual legal limit. This is the same as the average for Newcastle upon Tyne, which is 1 out of 6 (good). The air at the Haymarket is generally clean, although there may still be some high concentrations of NO2 located close to major roads. The results surprised me considering the number of bus movements there are in the Haymarket and nearby. NE31DH, Salters Road Gosforth, also had a rating of 1. These single figures should be viewed very carefully before drawing any broad conclusions from them. If you have access to the Newcastle air pollution data it would be very helpful to the public if you could post on this web site the periods when the levels of NOx and pms are high enough to be avoided. (A study in London in the 1990s (3) showed that NO2 levels were highest at night due to gas phase oxidisation of NO to NO2 at low temperatures). This would then allow shoppers to make an informed decision when to visit Gosforth High Street. Also do you have any views on the wearing of masks by pedestrians and cyclists to reduce ingestion of pms as is common in Japan and China? (1)	WHO Regional Office for Europe, “Health Aspects of Air Pollution”, (2003), Chapter 7 Nitrogen dioxide. (2)	COMMITTEE ON THE MEDICAL EFFECTS OF AIR POLLUTANTS, “Statement on the Evidence for the Effects of Nitrogen Dioxide on Health’, (2015). (3)	J.S Bower, G.F.J Broughton, J.R Stedman, M.L Williams, “A winter NO2 Smog Episode in the U.K”. Atmospheric Environment, Volume 28, Issue 3, February 1994, Pages 461-475. I think you may be barking up the wrong tree with the basic sciences. As in smoking and lung cancer the link will be proven by epidemiology. Dear Mr Agnew. I forwarded on your comment to Dr Stenton who has kindly provided this reply. I thank Mr Agnew for his interest in my article. As I pointed out, pollutants are generally produced together and it is difficult to disentangle the health effects of one from another. Nitrogen dioxide is the most easily measured and so has the greatest amount of local data. That is not to say that effects associated with it are necessarily caused by it rather than by some other pollutant. The McCreanor study of the consequences of walking down Oxford Street for asthmatics showed a substantial effect at everyday levels of exposure, at least for those in Central London. The authors don’t say how many nitrogen dioxide measurements they made – they merely give average values and ranges. I don’t doubt that they were attempting to obtain representative measures of exposure rather than peak values. They also measured PM10, PM2.5 and PM0.1. I quoted the nitrogen dioxide values as they are the most easily related to pollution levels measured locally. It is true that scientific studies are subject to error and uncertainty. There does however come a point when the weight of evidence is sufficient to overcome doubts about any individual study. That point has long been passed in relation to the health effects of air pollution. It is also true that not all air pollution arises from vehicle exhausts, and their contribution varies in time and place. Wood burning is an import source – but this is just another area in which public policy lags well behind the science. I have no special access to local pollution data. Simple face masks probably offer no protection and might even increase exposures ( Liu. Thorax 2017).